Later this week I'll be back with a sneak peek at Meg Nolan's gorgeous new book, Italian Hideaways: Discovering Enchanting Rooms and Private Villas. Apart from the stylish boutique getaway J K Capri, another chic spot Nolan includes is the Ferragamo family's Florence property, Hotel Lungarno. 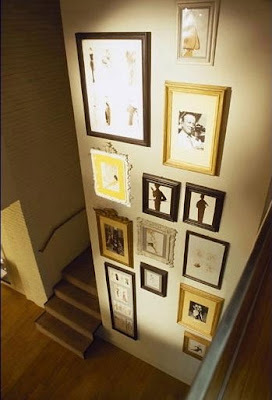 Above, groupings of art hung gallery style on the hotel's walls feature fashion sketches that reference the owners. I leave you with the grand salon of globe-trotting, art-collecting, adventure-seeking Mrs. Tependris. Created by artist Konstantin Kakanias, she's the stylish illustrated character who searches for enlightenment. This opulent room represents her past. Notice the walls painted -- or papered -- with a chinoiserie motif? The animal prints and the masses of Asian vases? Most of all I love how Kakanias has interpreted the numerous French chairs as almost abstract little blips of color. All images above from Mrs. Tependris: The Contemporary Years: The Adventures of An Art Collector. 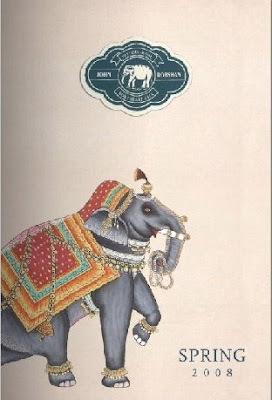 John Robshaw's spring 2008 catalog is now available online. 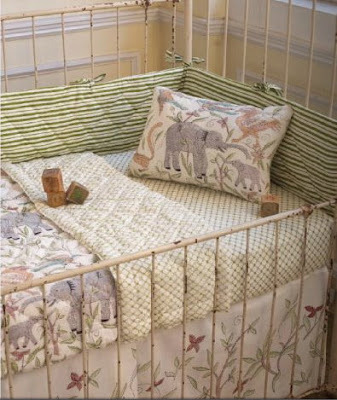 Many new handcrafted goodies await -- including fresh linens and pillows -- but for me one of the standout designs is the seriously charming "Noah's Ark" baby bedding. Currently on view through July 2008 is the V & A's exhibition, China Design Now. 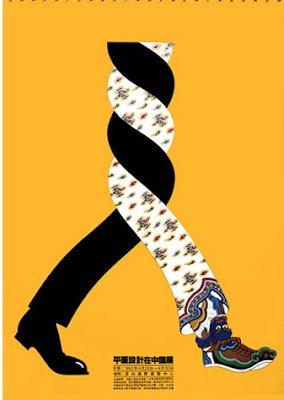 The show encompasses fashion, graphics, and the general proliferation of fresh design in China. Poster above by Chen Shaohua, 1992. 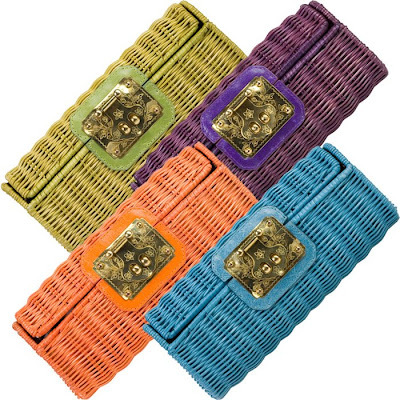 And I'm sure you've seen these woven wicker Kotur clutches from Vivre in the new Vogue Living (Carolina Irving has exquisite taste). But the art history major in me wants to point out that the brass plated closures are modeled after those found on ancient Ming Dynasty chests. 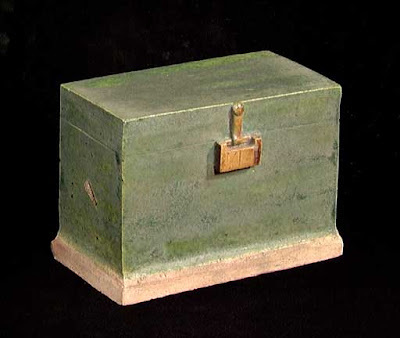 Tiny Ming chest available through Edgar L. Owen. 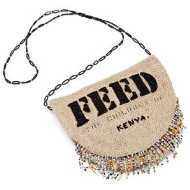 We all know what a few colorful prints can bring to our wardrobes; they inject verve, flair and a sense of fun, but rarely offer the mileage of a little black sleeveless dress. 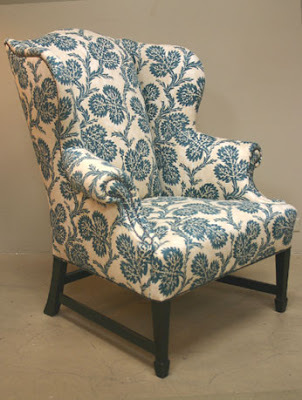 However, when it comes to upholstery, wild multi-color prints can be surprisingly versatile. 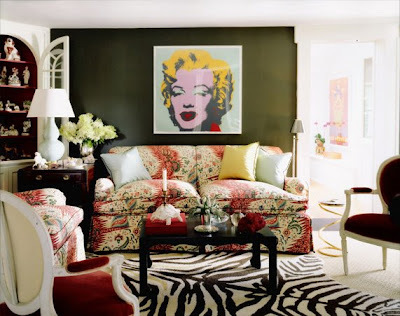 When a print contains five or more hues, you can pull any one of them for wall color, side chairs, pillows and so forth. An added bonus: in my experience dense patterns beautifully camouflage smudges from tiny fingers. 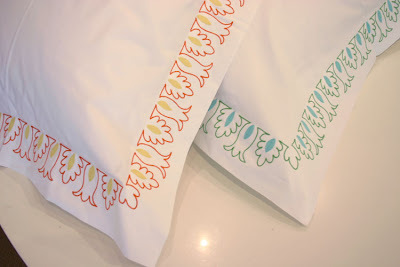 You can also layer pattern upon pattern, as Peter Dunham does so masterfully. 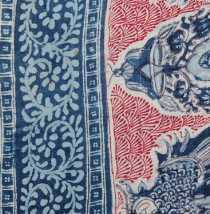 But if you have a sharp sense of your own aesthetic, know you truly love a certain print -- it's not just a crush -- and can afford the fabric, lavish prints can be an investment that will endure. 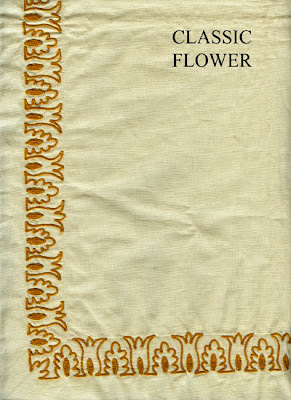 Fun link for textile fans: the Leman Album. 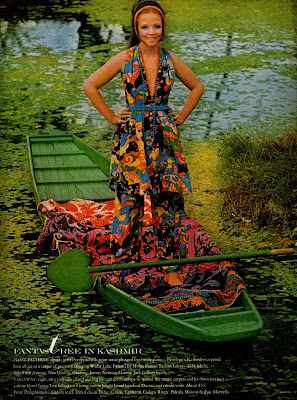 Credits: Milly tote shown top available through Shopbop; Milly dress is from Neiman Marcus; 1960s "It Girl," Penelope Tree, photographed by David Bailey for Vogue, February 1969; Todd Romano photos by Michael Mundy for House & Garden, March 2004; Dunham photo by Miguel Flores-Vianna for domino, April 2008. 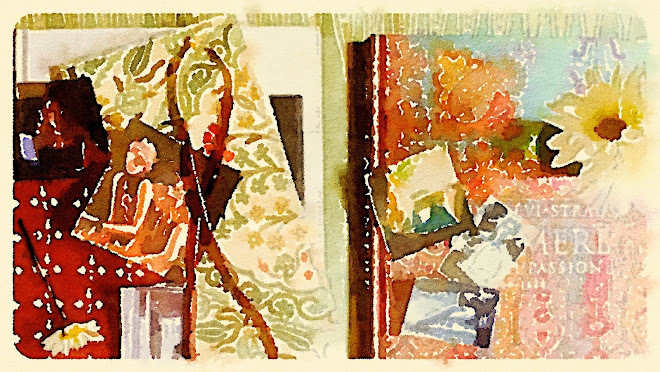 Sister Parish loved handicrafts -- needlework, basketry, quilts, hand-printed textiles. Maybe this was because she enjoyed working with her own hands, doing decoupage and other crafts. Or perhaps she had seen her share of grand formal homes and longed to warm them up with homespun touches. Working intuitively, and in collaboration with partner Albert Hadley, she often upholstered exquisite 18th century French furniture with "primitive" hand-waxed cotton batiks by Alan Campbell. 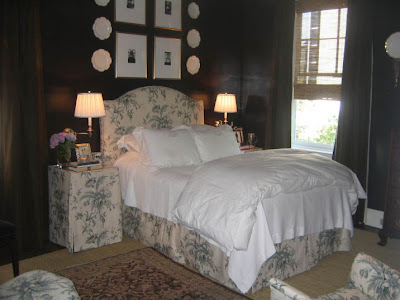 The fresh and inviting bedroom of Brooke Astor, shown above, is one example. Colorful patchwork quilts appealed to Sister too. 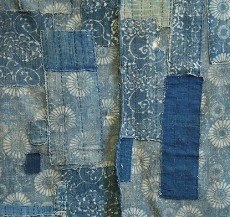 She used them conventionally but also commissioned the Freedom Quilting Bee in Alabama to create a patchwork fabric that, according to her protege Bunny Williams, was used in a chic Georgetown dining room. 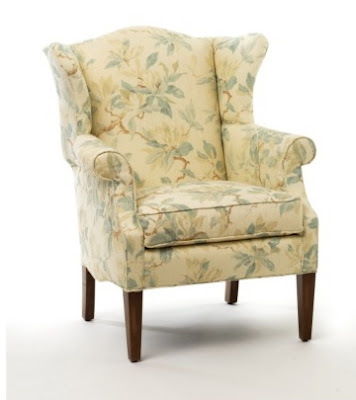 In fact, Parish-Hadley became known for upholstering wing chairs and sofas with quilts. During her famous refurbishing of the White House, Jackie Kennedy selected Morgantown glassware produced in West Virginia. A political gesture? Probably. But JBK seems to have had a genuine fondness for American crafts. 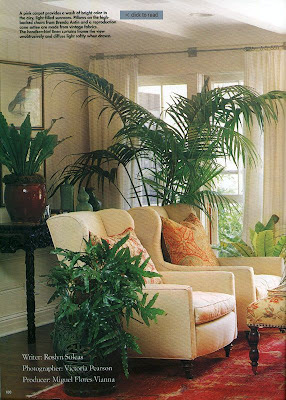 The way she and Sister Parish mixed the ultra-refined with the rustic greatly influenced residential interior decorating in the U.S. for decades. I couldn't help noticing that both Natalie "Alabama" Chanin and craft artist Nathalie Lete received coverage in the newest Vogue Living. Are arbiters of high style embracing craft again as they did in the 1980s when simple pine furniture was mixed with lavish florals? Of course, in their own unique ways Jonathan Adler and Lulu de Kwiatkowski have been doing a 21st century mix of sleek with rustic. 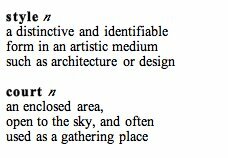 But it will be interesting to see if more contemporary designers -- those associated with modern glamour -- inject homespun elements into their interiors. 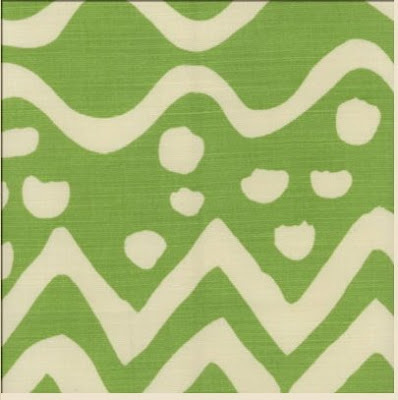 Above, Alan Campbell fabric currently available through Quadrille. Reminder: Tradition/Innovation: American Masterpieces of Southern Craft and Traditional Art remains on view through May 18. 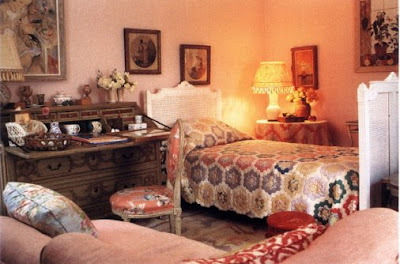 Photo of Sister Parish shown top is from Margaret Russell's 2001 book, Designing Women: Interiors By Leading Style-Makers; The Astor bedroom is from Albert Hadley: The Story of America's Preeminent Interior Designer; and Sister Parish's Maine bedroom is from Designers on Designers. This is a good week for Atlanta-based designer Mallory Mathison. Apart from being named one of the domino 10, her traditional-meets-chic Peachtree Road residence is expected to be featured in the AJC's Sunday home and garden section. I think the coverage will inspire anyone who dwells in a small space. 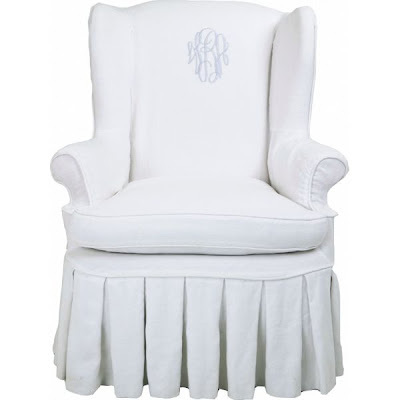 Mathison's style epitomizes that youthful Southern look I've been talking about this month. In her bedroom she liberally used an oh-so-trad Scalamandre linen floral, "Bantry House" in Aqua (if you've seen the latest Vogue Living you know this also very "now") but balanced the feminine print with rich faux lacquered espresso walls inspired by her heroes Billy Baldwin and Miles Redd. Baldwin was legendary for using deep dark walls in tiny spaces. 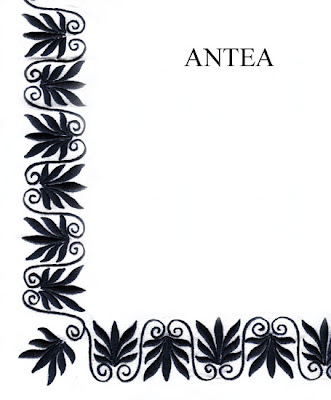 And this Redd-designed room above, published in Southern Accents, specifically influenced Mathison. She says, "The bedroom was actually an experiment. 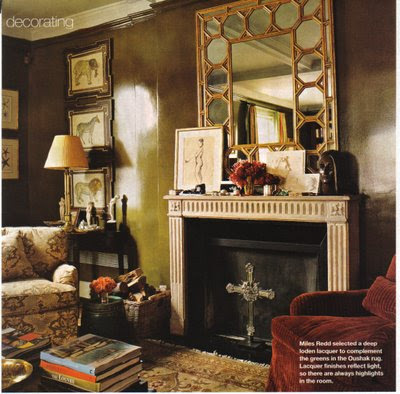 I have always loved lacquer, loved the way Billy Baldwin used lacquer on walls, furniture, lamps, lampshades -- anything! 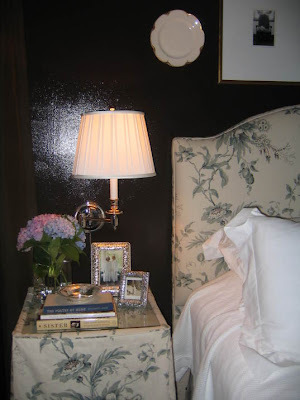 I wanted to try it out in my teeny little condo and so I decided to do it in the bedroom, because it was the space with the most natural light and I could off-set the deep espresso-brown with light linens and porcelains." 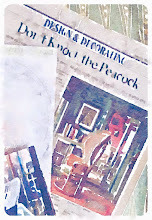 "I used Farrow and Ball's "Mahogany" paint in full oil gloss to achieve a sort of "faux lacquer" effect -- of course not the same [as the real thing] but it worked and was a fraction of what it would cost to have the walls professionally lacquered." By the way, her ceiling is a soft aqua. So all of her painted surfaces reflect light. Mathison does doubt she would ever do such dark walls for her clients. 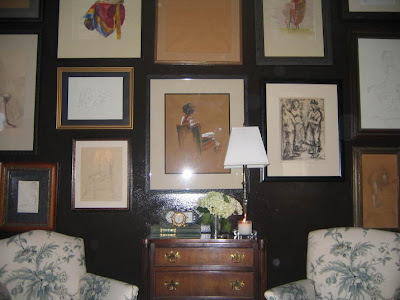 She adds, "More likely in an entry, dining room or library -- very dramatic and rich!" 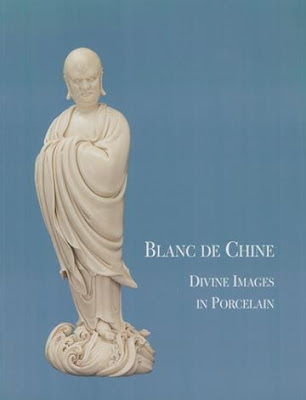 On blanc de chine (a French term usually reserved for all-white Chinese porcelain) she says she is especially obsessed with white porcelain Asian figures. 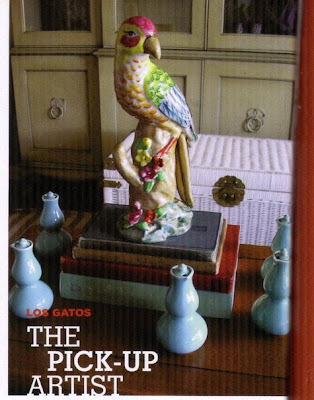 "I pick them up wherever I can, estate sales, antique shops, etc. I have also started collecting lamps, vases -- anything in white. 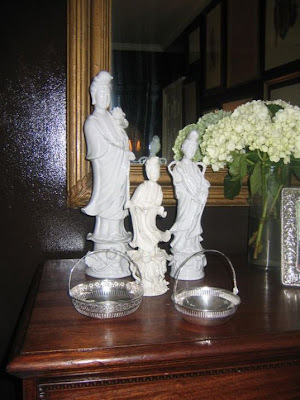 They are just so pretty and create amazing contrast against dark surfaces -- delightful!" Be sure to look for editor Katie Leslie's piece this weekend in the AJC! 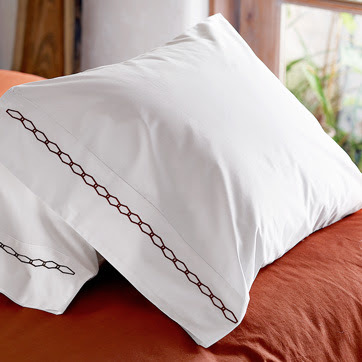 One of the first things to grab my attention in the new April domino was Peter Dunham's choice of Deborah Sharpe Linens. 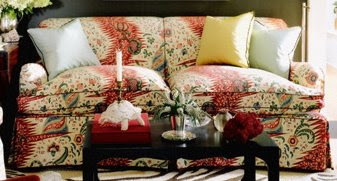 In his own inimitable bohemian-meets-English style, Dunham layered "classic flower" with eclectic bed coverings. 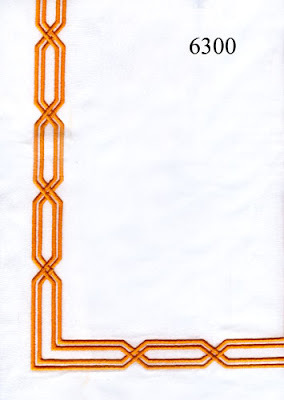 Sharpe also offers many fine embroidered geometrics. 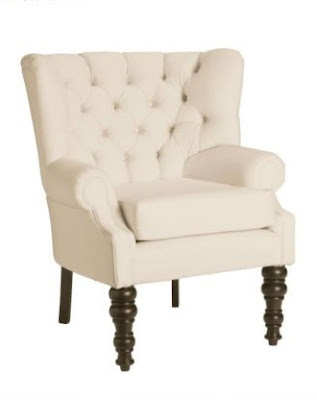 West Elm of course offers more budget-friendly options. You may remember that the Downtown guys, known for their flamboyant modern edge and vintage furnishings, have embraced chintz. Here is a little peek at the fun, psychedelic spring windows of their chic L.A. shop. Included are flower-covered canopy chairs. Atlanta's own Mallory Mathison made domino's "10". The magazine's select round-up of youthful talent. 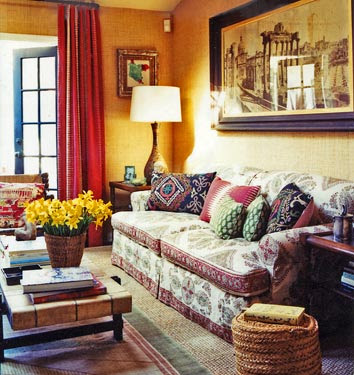 Mathison uses color and layers to enliven traditional interiors -- the aesthetic we covet most. 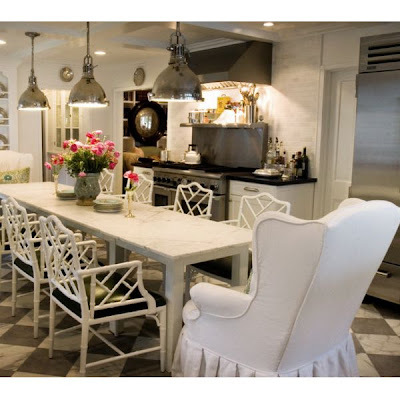 She will do individual rooms or entire homes. $125 per hour plus 30 percent markup. 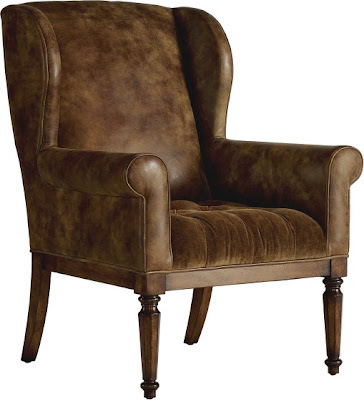 Reader Elizabeth asked to see some classic wing chairs with straight legs. She has her own fabric but wants to review various frames and styles. Here are a few timeless options priced from roughly $600 to $7,600. (I did take the liberty of throwing in a couple of deviant versions.) 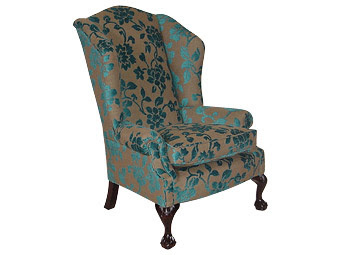 In general, for upholstery, wing chairs without skirts require 8 yards for a solid fabric, 9.5 yards for a pattern with a repeat less than 13 inches, and 11 yards for a large-scale print with a repeat ranging from 14 to 27 inches. Shown top above, Tim Clarke selected simple wing chairs for the Gordon residence as seen in House Beautiful, February 2004. 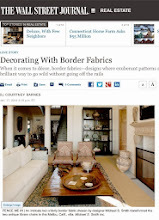 Ever resourceful Sylvie -- queen of California estate sales and master of soulful vignettes -- has that innate French flair discussed by lifestyle writer Sebastien Siraudeau in Vintage French Interiors. 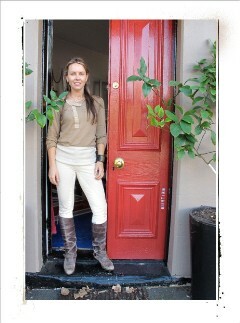 I was thrilled to see her shop, Blossom Home, featured in the current issue of California Style Magazine.